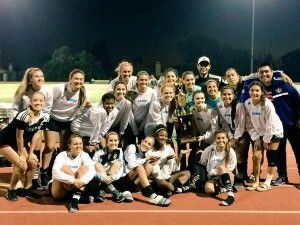 LOS OSOS 3, CLAREMONT 1 >> Serena Camacho scored two goals for the Grizzlies (8-1-1) in Claremont Tournament Championship Game. Hannah McKinney also scored a goal for the Grizzlies. It is the third straight year the Grizzlies have won the tournament. Carson Jordan scored for the Wolfpack (8-2-1) off an assist from Sophie Jones while goalkeeper Sydney Fortson had six saves. Los Osos will play Dec. 28 in the Excalibur Tournament against Foothill. Claremont will play at 12:30 p.m. Saturday in the San Gorgonio Tournament. 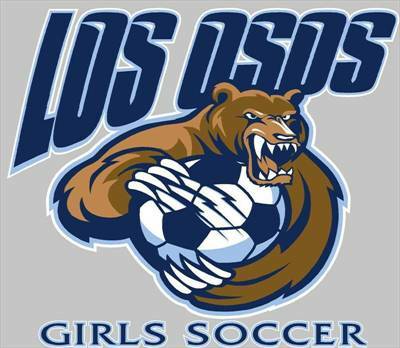 The Los Osos Grizzlies girls soccer team won back to back games on the final day of the Claremont Tournament to win the trophy for the second consecutive season. The Grizzlies found themselves down 1-0 in the first half of the championship game against the South Hills Huskies, before responding with three unanswered goals in the second half to seal the victory. Karley Whiteman, Kyrssa Johnson and Serena Camacho each scored a goal in the second half rally for the Grizzlies. Whiteman believes that tournament victories like the one against the Huskies can bring the Grizzlies together as a stronger unit going forward in the season. After giving up their only goal in the tournament to the Huskies, the Grizzlies made the most of the halftime period to come together and prepare for a second half rally against a team they had played just two days prior in tournament pool play. The Grizzlies’ mindset was also mentioned as a key factor to the second half rally. Prior to advancing to the tournament finals against the Huskies, the Grizzlies shutout the Brea Olinda Wildcats, 4-0, in the semifinals. Kala McDaniels contributed to the Grizzlies victory by scoring one of the four goals. Johnson, Whiteman, and Camacho also scored one apiece. The Grizzlies (7-0-3) will return to the field Dec. 26 in the Excalibur Tournament. Senior defender Kaitlin Imhof of the Los Osos High School soccer team has decided to attend and play soccer at Division III Aurora University in Illinois, just 40 miles West of Chicago. Imhof helped the Grizzlies to an overall record of 16-3-6, that included a third-place finish in the tough Baseline League. Los Osos won a first round playoff game but lost a second rounder to Harvard-Westlake 1-0. Aurora outscored its opponents 60-14 in 21 games. The AU women finished with an 18-3 overall record and captured their 15th Northern Athletics Collegiate Conference title in the 20 seasons of the program’s existence. The Spartans were ranked No. 16 in the latest D3soccer.com Top 25 poll.